There is so much about thrifting that we love, oh let us count the ways! One of the top reasons we love thrifting is because it allows us to break all the fashion rules and disavow social conventions such as clothes size. Most wouldn’t dare risk buying something they knew wouldn’t fit, but with thrifting, risk is often reward. Take this shirt for instance. I fell in love with it because of the color and the button detail on the left shoulder. I’m sure the price wasn’t bad either. But clearly the shirt is not made to fit me. Too big? No such animal! 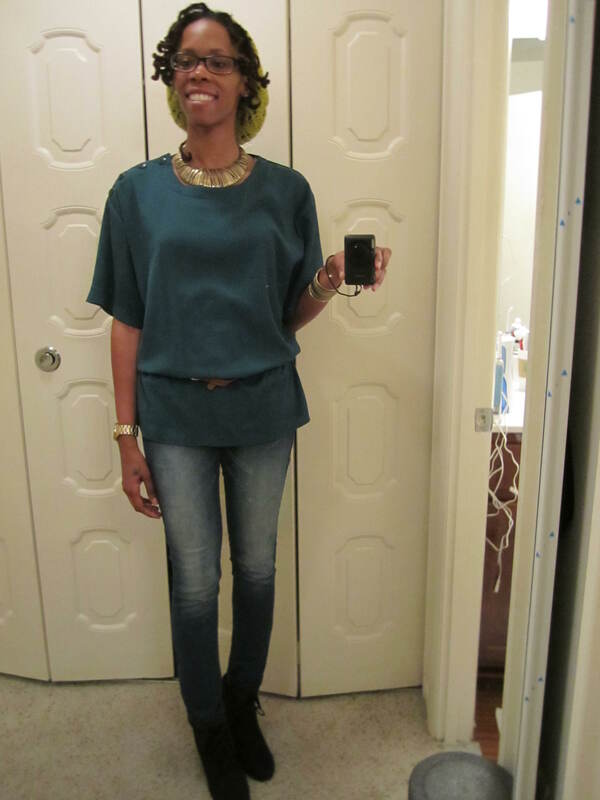 But all it takes is a simple belt at the waist and now I have a quick, no-sew peplum-style top! Not only have I paired this top with skinny jeans, but it looks pretty awesome with my favorite black body-con pencil skirt too. And just like magic, it fits! Pow! Categories: Styling, Thrifting | Tags: oversize, size, styling, thrifting | Permalink. Me being so small it’s hard to find things that fit in the ladies section (there usually is no junior section in the thrift stores) so to find jeans or pants of any kind i shop in the little boys section. I’ve found some good things there. I have also purchased pull overs out of the boy’s section. This was very helpful. 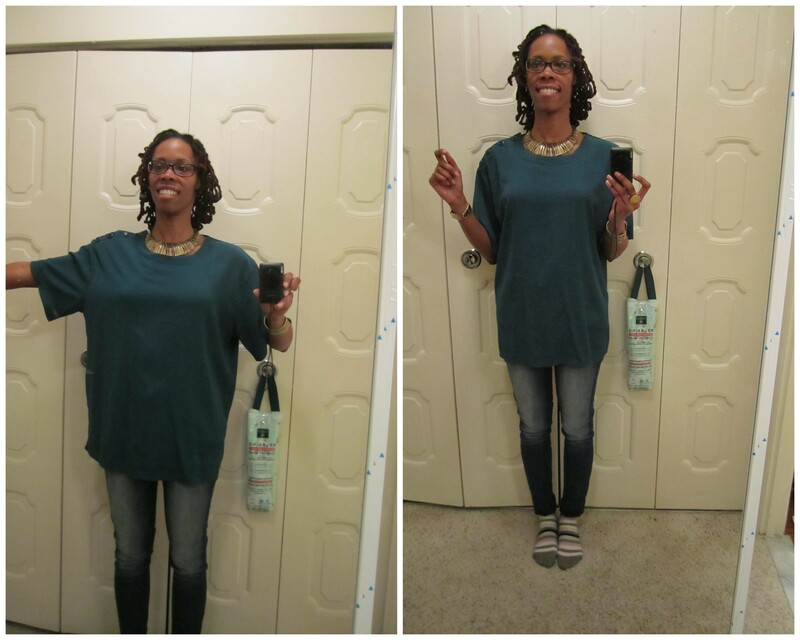 I never thought about buying over-sized clothes..
Glad the post help you think about new ways to style clothing. Both of us are fairly petite, so we end up buying a lot of oversized items and figuring out ways to style them. Good luck…if you find something, send us pics!